Browse our extensive selection of d ring hangers, hooks, wire, and picture hanging supplies of all kinds, including many hard-to-find and specialty items. 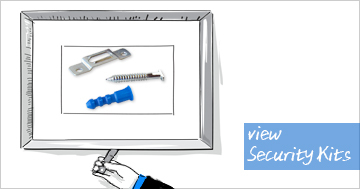 Order the hardware you need to hang any item on your wall with complete confidence. Hang prints, posters, photos, paintings, mirrors like a pro. We Beat Hardware Store Prices! Buy professional-quality picture hanging hardware for less than what they charge at the big box home improvement stores - that is if you can find it there. 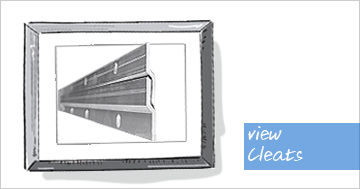 Our selection of hanging hardware is one of the broadest available. While you can find a few of these things in hardware stores, you will not find the extensive selection and variety that we offer. The pros shop with us because they know they can find exactly what they need with us. 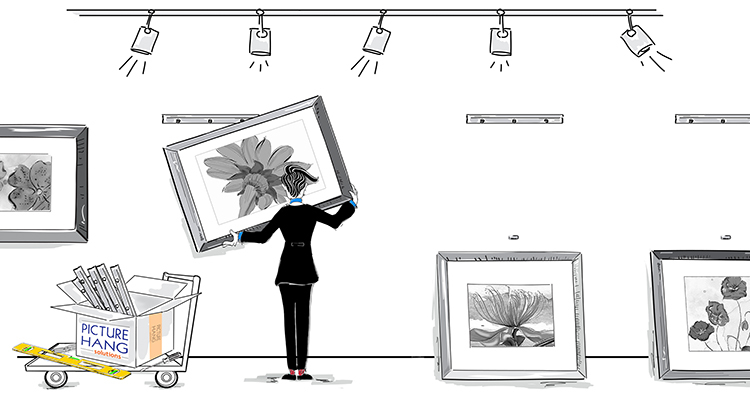 Don't depend on nails or improvised picture hanging methods to keep your framed items safe. Is it worth it to risk damage to a valuable work of art or an irreplaceable family photograph just to save a dollar or two? Protect your investment by using the correct picture hanging hardware. Not only do we have the largest selection, but we have a completely stocked warehouse ready to ship your large orders. We offer our hardware in packs of 10, 100 or 1,000 with volume discounts applied based on the size of your order.